Nickelodeon’s recently redesigned offices span six floors and 233,000 square feet at Viacom’s 1515 Broadway location in New York City. As a leading entertainment brand for kids, Nickelodeon has built a diverse, global business by putting kids first in everything it does. This world class organization performs television programming and media production in the United States and around the world. The company also creates and distributes consumer products, including merchandise, recreational goods, books, and feature films. 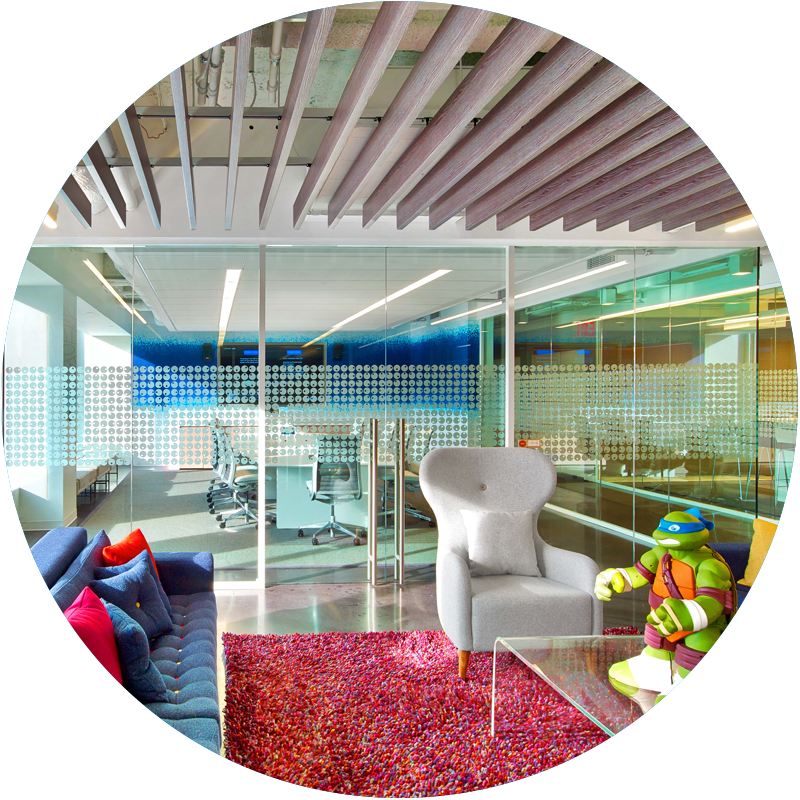 Nickelodeon’s new offices required a grown-up space that maintained its vibrant, expressive, and fun nature. STUDIOS Architecture created a unified look and feel for the space while crafting a unique identity for each department. 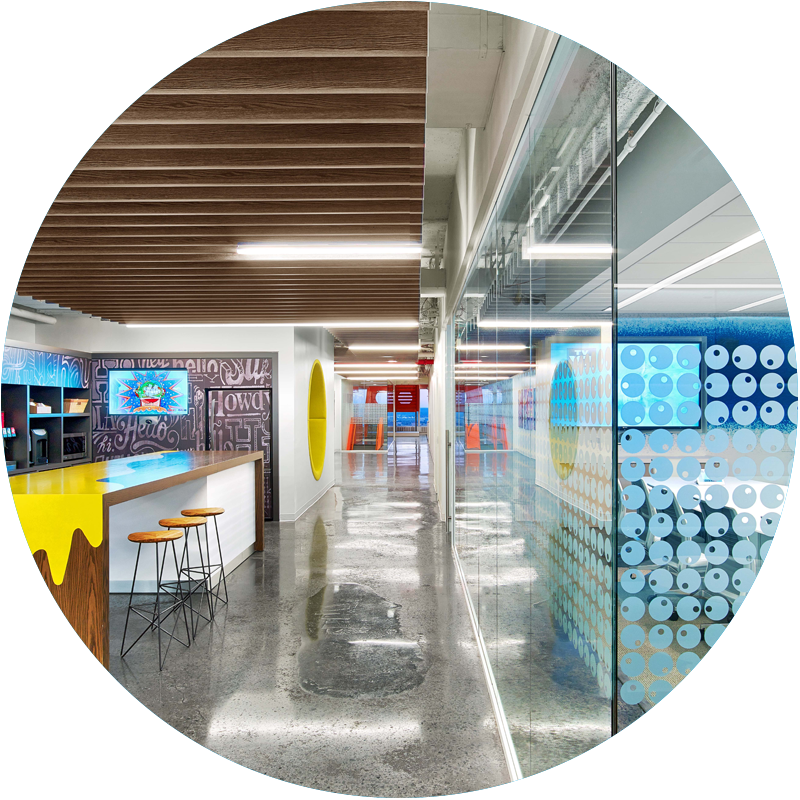 Key design elements include increased exposure to views and daylight, making leadership more visible, providing formal and informal meeting and collaboration zones, and “refresh and connect” areas to foster a sense of community.